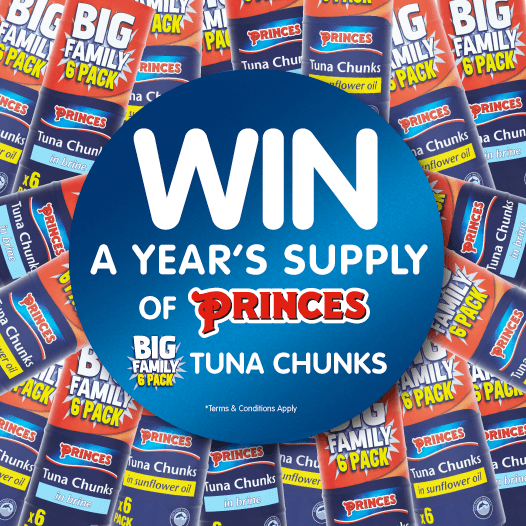 B&M Lifestyle | WINNER ANNOUNCEMENT - ONE Chance to WIN a YEAR'S SUPPLY of Tuna. Courtesy of Princes! WINNER ANNOUNCEMENT - ONE Chance to WIN a YEAR'S SUPPLY of Tuna. Courtesy of Princes! Our fantastic competition to give ONE lucky winner a brilliant YEAR'S SUPPLY OF Tua, courtesy of Princes has now finished! Congratulations! We hope you enjoy your Tuna!